One of the major challenges in setting up an in-house digital documentation team is the cost. Additional infrastructure, software tools and devices, and the quintessential recruitment all requires a significant amount of investment. For most of the businesses, though essential, data management is only a supporting service and not their core business. Investing heavily on Scanning and indexing will add on to the overheads of the business. Digital transformation involves some major infrastructural changes in the organization. If you plan an in-house team, office expansion with all required changes to include a larger team is required. Special devices and software tools for scanning and indexing needs to be purchased and installed, database server and its security have to be considered. The resistance among the employees to change the existing processes that have been followed for a while is another major challenge to consider. 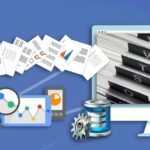 Document Indexing services will need its own set of processes to be in place for document digitization to be successful. Data entry, verification and cleansing have to be effective and of utmost quality to ensure that the digitized data makes sense to the managers to draw insights and metrics. Only cleansed data will yield the best results when indexed. This can be countered with proper training and transparency in the entire process. Once the employees understand how beneficial digitization turns to be for their productivity, the resistance will turn into acceptance. 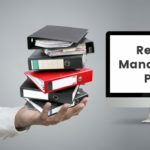 Once your employees are convinced, the next big step is to recruit some experts in document scanning and indexing to lead a pack of your employees inexperienced in this aspect of data management. You will also need experts who can input the missing data and assure the data quality. You also need to train your new recruits as well as existing employees on the latest tools you are using for document digitization. This is a time-consuming process. 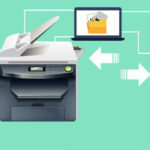 Considering the above-mentioned processes and challenges involved, the better option would be to outsource document scanning to competent outsourcing partners so that you can start your digitization work from day one. 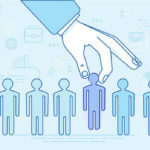 Outsourcing is very cost-effective and typically involves a periodic subscription which will prove to be far lower than maintaining an in-house team. Moreover, outsourcing brings with it a host of benefits such as expertise, technology edge, scalability, data quality and data security.